Bummed causes it keeps crashing at first level. Fix plz? This game is fun. But, always force close. Ho do you download it? 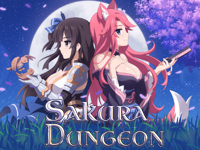 Admin please add the game "Sakura Fantasy"
admin, the game always crashing on my phone. Is there any way to avoid it? Is there any game that girl is the protagonist?